The Pennsylvania Guardianship Tracking System (GTS) is an application that allows guardians of adult-incapacitated persons to submit inventory and annual person and estate reports online. Payment of any associated fees is accepted at the time a filing is submitted and may be made with a Visa, MasterCard, Discover, American Express, or ATM card. Upon the completion of a filing, it will be transmitted to the applicable court for processing. A secure account is required to use the GTS. If you already have an account, log in to begin. If you do not have a secure account, you must create one. Step-by-step instructions and a short video are available to assist you with this process. Please note: A secure account can access multiple secure areas of the UJS Portal. There is no need to create separate accounts, particularly for Pennsylvania attorneys, to access each secure service or application. The GTS application is designed strictly for tracking and submitting guardianship-related reports online. It is not a resource for learning more about the Pennsylvania guardianship process. 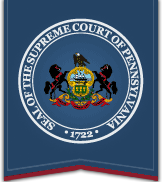 If you would like more information about guardianships in general, refer to the Unified Judicial System of Pennsylvania’s website.